Romanian Arduino enthusiast and Arduino forum member "szmeu" has published his ESR meter circuit and sketch for us to examine and reproduce. An ESR (equivalent series resistance) meter is useful for measuring the ESR of capacitors in-circuit, and also resistor values that are below one ohm. 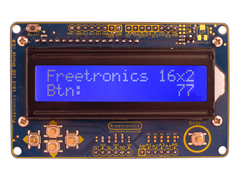 So if you are looking for a good weekend project and enjoy working with DIY test equipment, this project is for you. 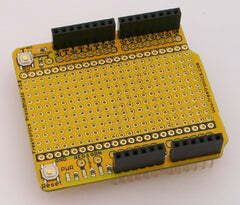 ... and for the external circuitry - consider our range of ProtoShields. From the tiny LeoStick to the Mega range, we offer a complete range for you to work with. It looks pretty straight forward. I will build one and post my results.